Superdry men's Hyper pop zip hoodie from the Orange Label range. 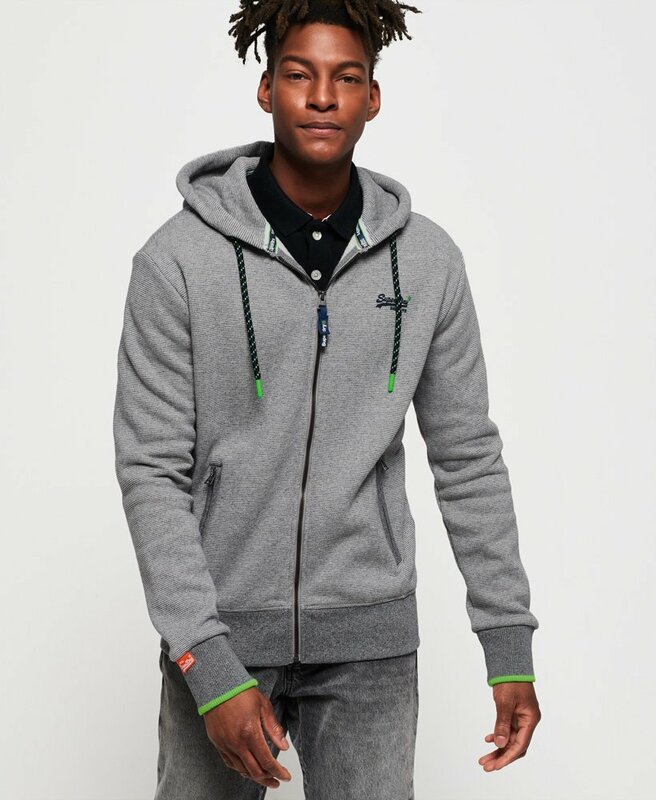 This hoodie features a drawstring adjustable hood, main zip fastening, two front zip fastened pockets and ribbed cuffs and hem. Finished with a textured Superdry logo on the chest, Superdry logo tab on one sleeve and the signature orange stitching in the side seam. This hoodie is perfect for layering with a plain t-shirt this season for an easy casual look.